These questions are not merely theoretical; they are in fact grounded in a long history of neglect. The mainstream human rights movement has ignored – and sometimes perpetuated, however unwittingly – human rights abuses against persons with disabilities. This failure was readily acknowledged by the leaders of AIUSA, Human Rights Watch and others at the start of the process that led to the adoption of the CRPD. This neglect was not helped by the relative invisibility of persons with disabilities in the international legal framework itself. The adoption of the CRPD ten years ago was a response to that failure – and the failure of national governments – to address disability issues from anything resembling a rights-based approach. New thinking on disability requires a major shift in approach; persons with disabilities are not problems to be fixed or empty vessels waiting for their fill of charity. The social model of disability breaks free of such traditional framings. It sees barriers in participation for what they are – not limitations in the individual but in society’s limited vision. Such barriers are ubiquitous in the environment, laws, attitudes, communications, and information. This shift in perspective about disability makes a human rights based approach to persons with disabilities possible. Disability rights is on the human rights agenda and no longer segregated in a social welfare provision, subsumed in an anti-discrimination law under the catch all, “social group,” or regarded as a limited health issue. The first human rights treaty adopted in the 21st century, the CRPD is fast approaching near universal ratification. It is working substantial law and policy reform across the world. The mainstream movement has yet to fully embrace its far reaching vision – not only at the expense of persons with disabilities, but arguably at the peril of the human rights movement itself. The measure of the human rights movement must be the extent to which it accommodates the voices and human rights concerned of the most marginalized persons. The nexus between the major human rights challenges of today and disability-based violations is clear, yet often unappreciated. Now, more than ever, human rights defenders are under attack and face numerous obstacles in doing their work. Persons with disabilities face barriers even in their efforts to become human rights defenders. Physical barriers, such as inaccessible transport and inaccessible meeting places, place limits on engagement in community organizing and human rights education and training, limiting opportunities to engage with human rights actors or to pursue training and education that can build essential advocacy skills and relationships. Disability-based stigma, together with barriers that remove legal capacity, voting rights and other opportunities to participate in political and public life is endemic. For disability rights advocates working in repressive regimes, limited access to the internet results not only in limitations on advocacy but, equally, on vital means of accessing information on which blind advocates rely. This is also the case for advocates who rely on internet based video conferencing for disability advocacy and networking, especially in countries where sign language interpreters are scarce. At home in the United States, human rights defenders are working to ensure that progress advances on police accountability. Research undertaken by the Ruderman Family Foundation suggests that as many as half of people killed by police are individuals with disabilities. Eric Garner, for instance, had both asthma and heart disease and his cries for assistance went unanswered. Prisoners with disabilities, both in the United States and in prisons around the world, must either fend for themselves or rely on other prisoners for assistance, contrary to international human rights standards. In Syria and elsewhere, internally displaced persons (IDPs) with disabilities and their family members are often would-be refugees who have been forced to stay behind when many of their neighbors have fled. AI has highlighted some of these barriers in its reporting, notably in Living on the Margins: Syrian refugees struggle to access health care in Jordan, amplifying the disability rights dimension of the Syrian conflict. 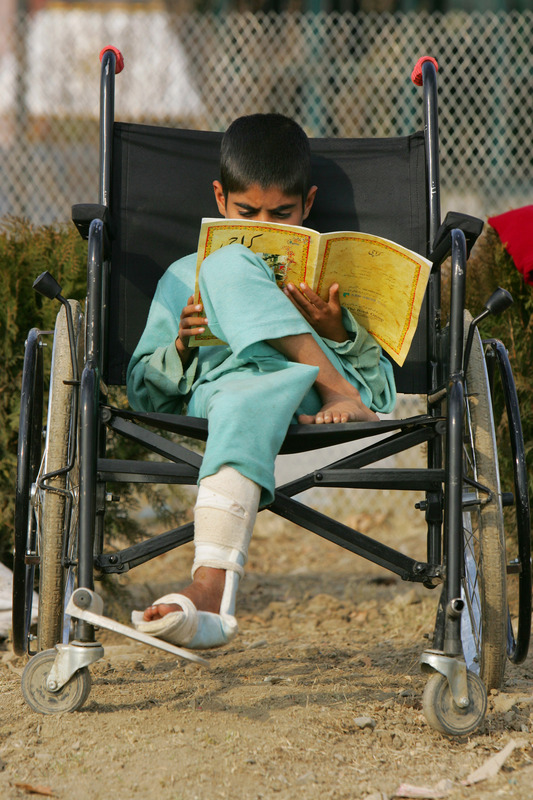 For disabled persons who do make it across borders into refugee camps, they are the last to leave. These issues should prompt questions for the human rights movement. Will strengthening efforts to accommodate disability rights advocates into the human rights mainstream strengthen and further diversify the human rights movement? What is the responsibility of human rights advocates to disability rights advocates? Do the leaders in the global human rights movement – including Amnesty – have accountabilities to the disability rights community? If so, how so? What are the opportunities for a human rights practice among and between the two communities that is complementary and mutually reinforcing? Equally, of course, a number of penetrating questions might be also be directed toward the disability community regarding proactive engagement in and commitment to the global human rights movement. What is clear is that disability rights are now part of the human rights agenda. Persons with disabilities are effecting change in the perception of disability in society. Disability rights advocates are bringing about rights-focused law and policy change. The mainstream human rights movement lags behind, both in terms of grasping the enrichment of human rights law through disability rights principles and in accommodating disability rights issues and disability advocates. Celebrating International Day of Persons with Disabilities ought to garner more than a glib and transient invocation of disability rights. It should instead prompt the human rights movement to equalize human rights action to advance the rights of persons with disabilities. This entry was posted in Identity and Discrimination and tagged Disability, human rights defenders, International Day of Persons with Disabilities by Guest Writer. Bookmark the permalink. I work with many disabled folks as part of my job, and see this crisis even in the first world (though it is much more tragic in other regions). An additional human rights tragedy is the treatment of the elderly. I have personally volunteered at places where I discovered that people who could not care for themselves were left soiled for hours and days. These crimes have to end. We at Pacific South Western Advocates in British Columbia, Canada are appalled by the lack for protections for citizens detained and drugged against their will under BC's Mental Health Act. We are currently involved with a case we helped send back to the BC College of Physicians & Surgeons which involves breaches of Canada's Charter Right to call lawyer. If no protections or safeguards are in place, then the BC MHA is clearly unconstitutional. 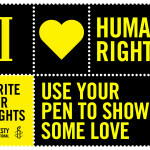 Advocates need to keep exposing human rights/civil liberties violations, because one day it may be us who needs a voice. This article is very informative regarding the Human rights. I want to mention that human rights defenders area unit operating to confirm that progress advances on police responsibility.